Connectours is your new marketing and distribution partner. Whether you run multi day or day tours, transfers, activities, car hire, a restaurant, or other tourism service, we have a solution for you. Our aim is to get you selling across multiple sites (your own website, your mobile site, via your Facebook page) and via a range of distribution channels. 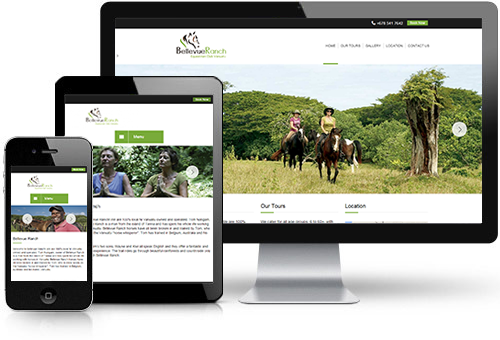 We have a wide range of powerful responsive websites available for you (see here), each one of which can be tailored to your needs. 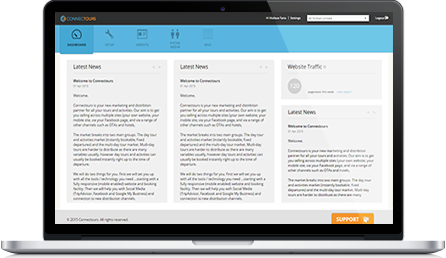 They tick all the boxes in being very fast to load, easy for you to update, fully mobile compatible and set up with all your key web traffic and other information displayed in the dashboard. We have two options for you here. Instant Bookings. Our booking engine provides instant booking functionality and is state of the art. You can manage all your bookings via this system. Features include multiple payment options (including credit card, PayPal and bank transfers); fully customisable booking conditions (variable by tour or activity); a checkout question module; SMS messaging (for when you are not in the office); variable close-out times (right up to last minute bookings); and the ability to set availability and rates up to 2 years out. You can also set specials by date or activated with a promo code, and there is a complete booking records module to track all bookings. Custom Booking Form. Not everyone in the tours and activities area has products / services which are available “on-demand” (instantly bookable with live availability information and fixed pricing). Our custom booking form is perfect for you. All inquiries are logged in the system so you have a permanent record and you can also enable the auto “sms” messaging when you are out an about so you don’t miss any inquiries. In selling online today, it’s not enough to rely simply on your website. You need to stand on the shoulders of others like online travel agents (people like Viator, GTA, Expedia, Destination Services, Get Your Guide, etc. ), offline travel agents, affiliate partners and more. We work with most of the global distributors and are progressively expanding our network. We help set you up correctly on Facebook, TripAdvisor and Google+ and then bring all the information from these social media channels into one easy location for you to track and manage. We also set up linking and sharing to your social media sites from your website and insert a booking button into your Facebook page …turning Facebook into another website for your business.